Note: As art glass is hand-blown, there will be minor variations in size, colour or shape and the glass may contain minor bubbles / small impurities. 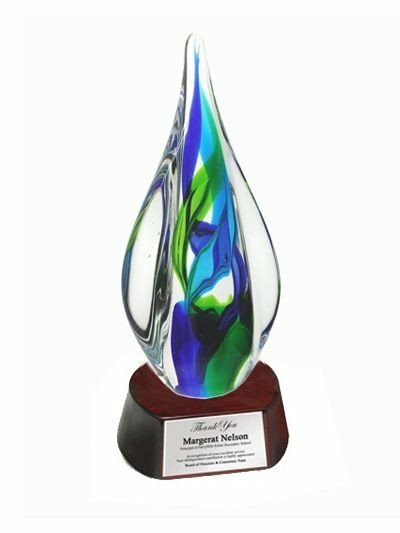 We design and produce trophy awards with a balance of great aesthetics, superior quality, fast delivery and competitive prices. We have a large selection of ready stock designs and operate our own in-house laser engraving and printing technology in Singapore. Ander Marketing was established in 1985. Do you have a price catalog of the trophies? How can I make an enquiry? Can you help me with the text to be printed? How long will it take to complete my order? What is the difference between the various finishing options?